Protect your home system - It's Easy! DO YOU HAVE COVERAGE ON YOUR AIR CONDITIONER, APPLIANCES, PLUMBING & ELECTRICAL? We are the service contract experts! Pride Air Conditioning has been serving South Florida since 1974. 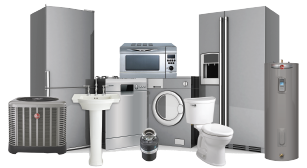 We are a leading provider of Home Warranty Service Contracts. We service all makes and models of air conditioners. We employ "Non Commission" technicians so they do not get paid a commission to repair your A/C. Pride Air Conditioning is a Trane Comfort Specialist and a Rheem Top Contractor. We always offer great value whether replacing or repairing your air conditioning system.